There is brand new attraction at Pier 39 and it is now officially open for boarding! The Flyer- San Francisco is a new flying theatre attraction immersing guests of all ages, taking them soaring over the biggest attractions and iconic landmarks throughout the city and surrounding Bay Area for the most amazing views you will see and experience! While embarking on The Flyer – San Francisco, guests will first be introduced to a few characters from the production through engaging projection mapping technology. Revealing a budding romance and a curious seagull, whimsical vignettes will bounce across custom screens to set the scene for the ultimate experience. After the introduction is complete, guests are ushered into the main theater where they will buckle up as the floors slip away and guests are suspended in front of the 1,100 sq. ft. screen that fills their field of sight ensuring that each guest has the feeling of a front-row seat. 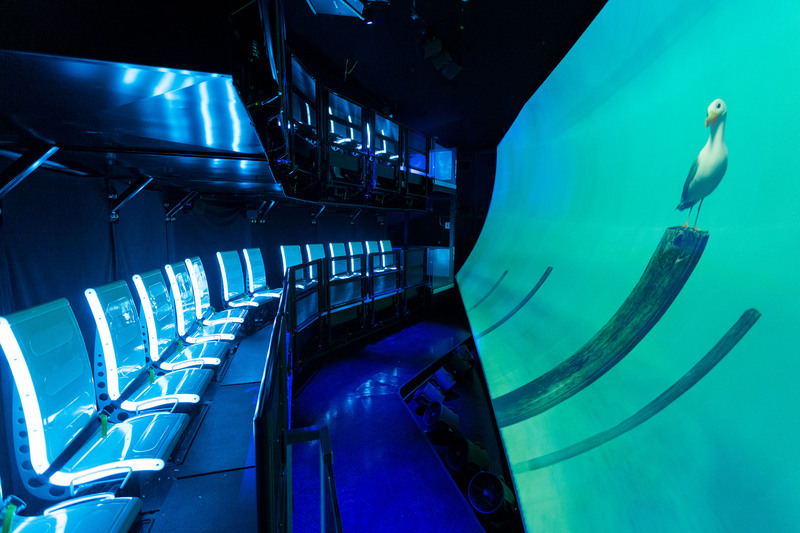 In their motion-based seats, guests take an immersive flight through some of the Bay Area’s iconic landmarks. Tickets for The Flyer – San Francisco are $25 USD for adults and $16 USD for children. Group/FIT rates are available. The Flyer – San Francisco is open daily from 10 am to 10 pm. Stay up to date with all the available fun at Pier 39, the most visited attraction in San Francisco! To read more about my favourite things to do in San Francisco, head on over to my blog! Planning a visit to San Francisco and Bay Area?? Let me know how I can help with any itinerary planning or travel packages, and recommended things to do to make the most of your time in the area!